With a focus on empowering its members, common features of National Precast’s member events are visits to members’ factories and project sites. According to National Precast’s Chief Executive Officer, Sarah Bachmann, connecting members and helping them in their efforts of continuous improvement has never been so important. “Precast’s market share is on the rise. Many factories around the country are busy and that means precasters must be constantly on the lookout for better manufacturing processes,” Ms Bachmann reveals. Factory and site visits organised by the Association add another dimension to the meeting experience and provide first hand learning opportunities. “They see how others do it and discover new ideas they can implement in their own factories, and feedback from members is always glowing,” Ms Bachmann says. Earlier in the year, the Association held a members’ meeting in Perth. 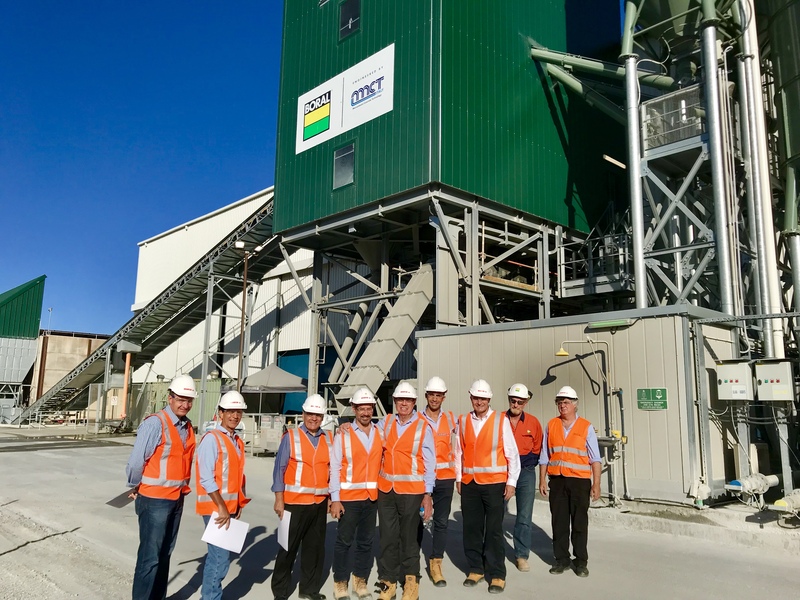 Here, members had the opportunity to tour the Salini Impregilo – NRW Joint Venture precast production facility for the new Forrestfield Airport Link. “This particular visit was a wonderful opportunity for our members to see the latest technology for a fully automated tunnel segments manufacturing facility,” Ms Bachmann comments. When the Stadium opened it was met with local and international acclaim from both the construction sector and general public. A visit to the Stadium while under construction allowed members to see first-hand the reasons why. “The Stadium’s precast architectural wall façade features 4,000m2 of architectural panels in various finishes manufactured by one of our long-standing members, Delta Corporation,” Ms Bachmann details. Embracing the action inside are 3,500 individual units of prestressed precast concrete seating plats manufactured by fellow Western Australia member, PERMAcast. Other highlights for the Association’s members have included a tour of the ICC Sydney Convention Centre, led by Populous Architect, Belinda Goh, and of the new headquarters of the Australian Institute of Architects, Melbourne’s 41X—a tour that was led by Lyons Architects, Adrian Stanic. In addition to visiting construction sites, members also welcome one another into their factories. These visits are sometimes part of the more formal member events, or can be arranged privately. “It’s a privilege afforded to fellow members, and one that is invaluable,” Ms Bachmann says. Such visits provide a unique opportunity for members to share information with each other, as well as observe different manufacturing techniques and processes. Two National Precast member events remain for 2018—a joint meeting with ConcreteNZ Precast in Queenstown, New Zealand in mid-August and an event in Sydney in late-November. The Sydney event will include a visit to OneSteel’s steel manufacturing facility at Rooty Hill. Five events will be held in 2019—these being in Brisbane, Adelaide, Perth, Sydney, and Melbourne. To join in on the fun or for information about membership, please contact Sarah Bachmann on 08 8294 0833.